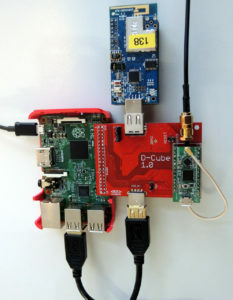 D-Cube is a low-cost tool that allows to accurately profile the end-to-end delay, reliability, and power consumption, of low-power wireless sensor nodes, as well as to graphically visualize their evolution in real-time. Developed at TU Graz, Autria, This tool has been used to set-up the EWSN 2016, 2017 and 2018 dependability competitions. at the 14th International Conference on Embedded Wireless Systems and Networks (EWSN). Available here. at the 1st Workshop on Benchmarking Cyber-Physical Networks and Systems (CPSBench). Available here. FlockLab is a wireless sensor network (WSN) testbed, developed and run by the ​Computer Engineering and Networks Laboratory at the ​Swiss Federal Institute of Technology Zurich (ETH Zurich) in Switzerland. Indriya is a three-dimensional wireless sensor network deployed across three floors of the School of Computing , at the National University of Singapore (NUS). The Testbed facilitates research in sensor network programming environments, communication protocols, system design, and applications. It provides a public, permanent framework for development and testing of sensor network protocols and applications. Users can interact with the Testbed through an intuitive web-based interface designed based on Harvard's Motelab's interface. Registered users can upload executables, associate those executables with motes to create a job, and schedule the job to be run on Testbed. During the job execution, all messages and other data are logged to a database which is presented to the user upon job completion and then can be used for processing and visualization. 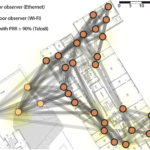 IoT-LAB features over 2000 wireless sensor nodes spread across six different sites in France. Nodes are either fixed or mobile and can be allocated in various topologies throughout all sites. A variety of wireless sensors are available, with different processor architectures (MSP430, STM32 and Cortex-A8) and different wireless chips (802.15.4 PHY @ 800 MHz or 2.4 GHz). In addition, “open nodes” can receive custom wireless sensors for inclusion in IoT-LAB testbed.